Walk2Connect sort of just happened, kind of like learning to walk. The organization bubbled up in Jonathon Stalls’ head after he trekked west from the Delaware coast by foot, and didn’t stop until he reached the Pacific Ocean. After that it was clear: Truly connecting with a place and its people can’t happen in a car. 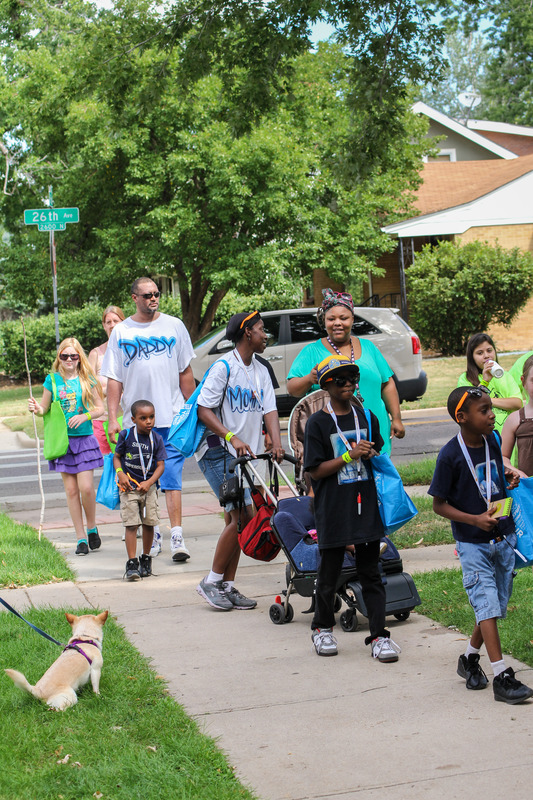 Walk2Connect (motto: “life at three miles per hour”) aims to remove that distance with an experiential, grassroots model. It starts with walking in a group and with a theme. The group might walk Cap Hill looking at architecture, or through Park Hill looking for edible plants (yes, that happened). The point is to just get people to “start having fun, meaningful conversations by foot,” Stalls said. But the objective is also to create a cultural impetus for more walkable cities. And it works. Dawn Kirkwood joined Walk2Connect a little over a year ago. Now she leads walks through her Capitol Hill neighborhood. “I got just totally hooked,” Kirkwood said. In October she’ll attend America Walks, a summit in DC (she earned a scholarship). Kirkwood will meld her walking experiences — “the human part of it” — with what she learns there. She’ll come back to Denver better versed in how to advocate for better walking conditions at the City Councils, for example, or to help WalkDenver map gaps in sidewalk infrastructure. Grounding advocacy in human experience translates to real change, Stalls said, even if it starts with simple walks. In an urbanizing northeast Denver, Walk2Connect works to educate residents about RTD’s new rail line, and how it can transform the way people get from A to B. It’s an important contribution to a city still learning about urban transportation, said Angie Rivera-Malpiede, a former RTD board member who heads Northeast Transportation Connections. Rivera-Malpiede and Walk2Connect teamed up to start the Northeast Walk Fest, which amplifies the message that driving is an option, not a necessity. The Walk Fest is both a party and the launch point of 15 themed walks, one of the tools Walk2Connect uses to build an advocacy community. Walk2Connect is in the middle of a fundraising campaign that Stalls hopes will help the staff manage their unexpectedly fast growth. Go here to donate and check out a video that captures their work.